Jeffreys Bay, effectionately known as J-Bay, is one hours drive towards Cape Town from Port Elizabeth in South Africa. Jeffrey and Glendinnings opened a wood & iron warehouse (General dealer) in 1849, nearby where J-Bay is located today. In 1852, 40 erven were surveyed by Robert Pinchin on the farm “Klein Zeekoe Rivier”, then named it Jeffreys Bay after Joseph Avent Jeffrey. On plot # 10 a general dealer were built and were known as the “White House”. This became the central business area of J-Bay. “The Fishery” was an area allocated to the coloured fishermen who stayed on the farm “Klein Zeekoe Rivier”, they were totally dependent on the ocean to make a living. This was a dangerous way of life, going out to see in all weather conditions, on a small rowing boat. They received as pay, only a couple of “eat fish” that they either ate or traded for sweet potatoes. Quality of life was very bad for the fishermen and their families. In 1905 a railway link between Port Elizabeth and J-Bay were finished, connecting Jeffreys Bay with the outside world. This was the start of tourism to Jeffreys Bay and by 1906 J-Bay had its second Hotel, providing more rooms to tourists. This hotel got demolished a couple of times and undergone may revamps and is known as the Savoy Hotel today. 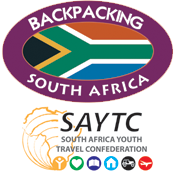 J-Bay offers all kinds of accommodation these days from camping, Backpackers hostels, right through to 5 star accommodation establishments. Surfing in J-Bay started in the late 60’s when the hippies drove to Jeffreys in split window VW’s in search of the perfect wave. They camped out for days, surfing the awesome right hand break at Supertubes, one of the best waves on the planet. Since then surfing just grew in popularity and these days Jeffreys bay is home to many Custom Shapers, the Billabong Pro surf contest, Billabong Surf Wear SA HQ and South Africa’s surf holiday meca. Jeffreys Bay is a booming sea side town, with large retail stores, shopping malls, housing complexes and developments. This once sleepy fishermans town, now attracts thousands of tourists each year and provide not just a place to stay, but a place to have fun and adventure. Visitors can enjoy not only perfect surfing conditions but also horseback riding, sand boarding, fishing, hiking and many other activities. Shopping is also big in J-Bay with many Surf Wear factory shops to choice from, like, Billabong, Roxy, Volcom & Qiuksilver.